Griffin Wednesday talked about what happened when the Chargers converted a key third-and-15 that led to a touchdown in a loss to Los Angeles Sunday. 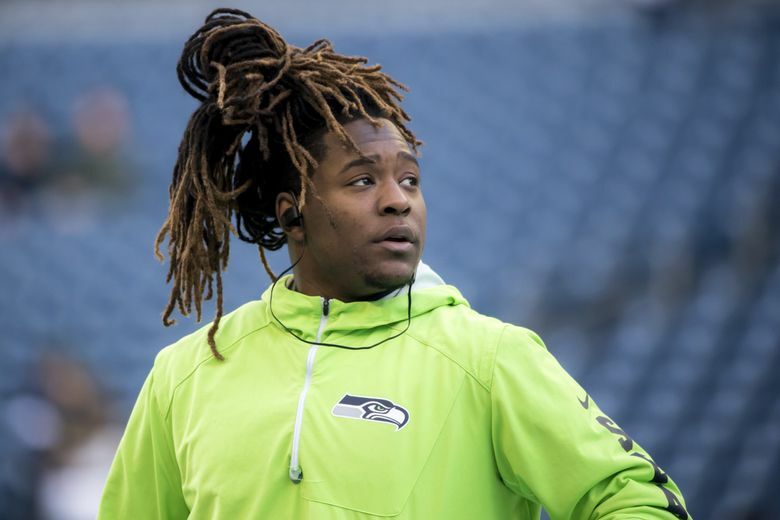 Shaquill Griffin is only in his second year in the NFL, and by any measure is still a young player. But last spring, when the Seahawks handed him the role of replacing Richard Sherman at left cornerback, he also understood that his margin for error had lessened considerably while the responsibility the team was giving him had increased considerably. Opposing teams, he knew, would look his direction as often as they could to see if there was a weakness on that side that hadn’t been there the previous six-and-a-half seasons when Sherman manned the left cornerback position. Left cornerback is considered the more important of the two corner spots in part because most QBs are right-handed. It’s why Griffin was so disappointed in himself Sunday when the veteran Charger duo of quarterback Philip Rivers and receiver Keenan Allen threw a challenge his way and turned it into the longest pass play of the season against Seattle. Worse, the 54-yard gain came on third-and-15, when the CenturyLink Field crowd was rocking following a delay of game penalty on the Chargers, and led to a quick Los Angeles touchdown that put the visitors ahead for good in an eventual 25-17 Seattle loss. And then he vowed that he won’t in the future. “I learned from it and I’m making sure it won’t ever happen again,’’ he said. Basically, to always be on the alert for anything. The completion came on a “double-move’’ route on a play that started at the 12. Allen, lined up outside the right hash, initially ran straight and then cut quickly to the outside at about the 25, then cut back to the left and down the seam. Griffin bit hard on the fake, giving Allen a clear path to make the catch. (Safety Tedric Thompson also initially made a move to the right side of the field but got over too late to prevent it). Griffin said Wednesday he erred in making an assumption based on film study and tendencies. “I tried to make a play from what I was studying,’’ Griffin said. “(Allen) never was a guy to try to go deep. They had their guys who like to attack. He was always the one that is the possession-type receiver and on third down throw it (to him) at the sticks and he is the one who will catch it. It was only the second time in six plays of third-and-15 or longer this season that such a pass has been converted against Seattle, according to Pro Football Reference. The other came in London, when a short toss from Oakland quarterback Derek Carr to running back Jalen Richard turned into a 21-yard gain on third-and-20. But that came in an easy 27-3 win over the Raiders and was pretty much quickly forgotten. Sunday, the gain was one of the biggest plays of the game, in many ways as pivotal as any of those that came later — Seattle led 7-6 at the time and was poised to get the ball back around midfield with a stop. Instead, a shaken Seattle defense then gave up a 34-yard touchdown run to Melvin Gordon on the next play. “Any time you are in third-and-15, we are supposed to win those,’’ defensive coordinator Ken Norton Jr. said. “The percentages are on our side. And he just got caught up looking in the backfield, which is something that young players do. And it’s important for young players a lot of times to get beat on plays like that so now he knows he can’t do that anymore. Griffin certainly couldn’t be accused of shirking any responsibility. He spent several minutes Wednesday discussing the play with reporters at his locker. When asked if maybe the Seahawks were in a defensive coverage in which Griffin was passing off Allen to a safety behind him, expecting to get help deep, he shook his head and said the fault was all his. “You have someone in the post, but I take full blame for that,’’ Griffin said. “I have to be over the top. … that was something I tried to make a play on and something I seen on film and they changed it up on me. That’s how it goes. Griffin, though, said it won’t shake his confidence. He noted that the Chargers didn’t try that again, and that the Seahawks got progressively better on defense as the game wore on — Los Angeles did not score an offensive point in the second half. Griffin said that’s all the Seahawks need to do this week, when they face the other Los Angeles team. The high-flying Rams are first in the NFL in total offense at 447.1 yards per game, and third in scoring at 33.2. They hit or exceeded each of those totals when the two teams met last month in Seattle, a 33-31 Rams win in which Los Angeles gained 468 yards. Griffin said the Seahawks need to tackle better than the first time around and stop the Rams’ run. And if they do that? Probably the play of the game from Seahawks-Chargers. Facing 3rd & 15 down 7-6, 54 yard bomb to Keenan Allen.